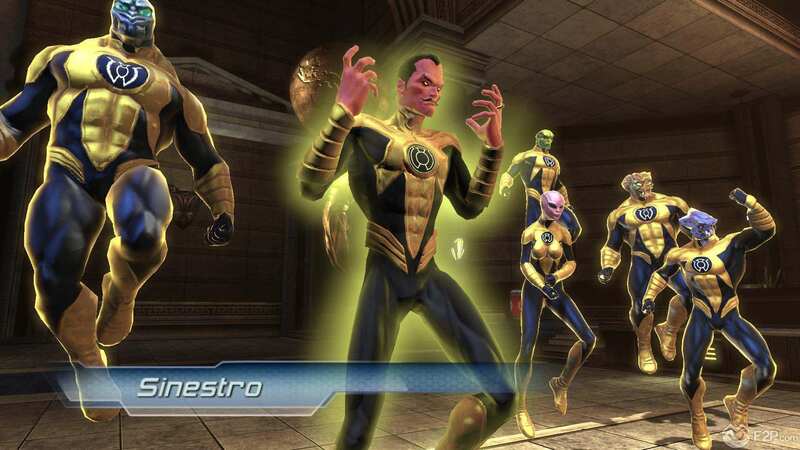 F2Pmeter: Is DC Universe Online Truly Free-to-play? Today on our F2Pmeter series... DC Universe Online, a MMORPG set in the popular DC comics universe and available on PC, PS3 and PS4 in which players are able to create their own powerful hero or villain to experience true action combat as they embark on story-driven adventures and fight alongside and against legendary characters such as Batman, Superman and The Joker. Remember that games start with a 100% of free-to-play-ness. That percentage will vary depending on the answers to our questions. No. 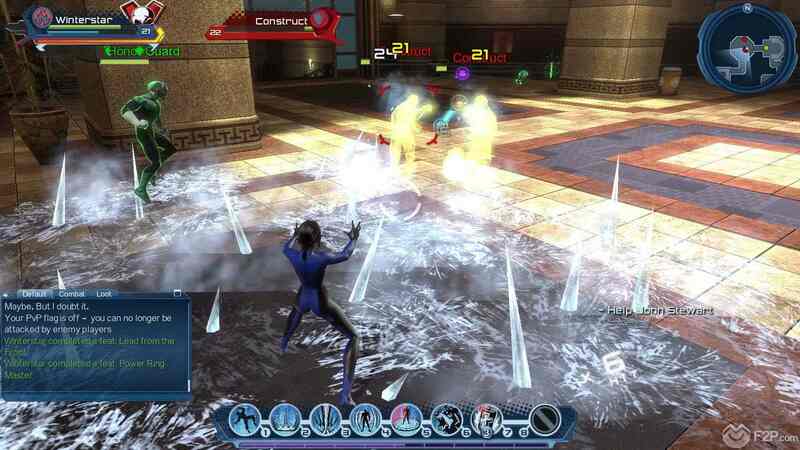 After adopting a free-to-play business model in November 2011 (merely ten months after release), DC Universe Online allows players to create an account, download the client and play for absolutely free. Yes (optional) – -15%. Despite the change to free-to-play, there are still subscription-based membership options available. Subscribers are offered monthly, 3-month, 6-month, and 12-month subscription packages ($14.99/ $12.99/ $11.99/ $9.99 per month) which grant additional character slots, the ability to carry unlimited in-game cash and free access to all DLC packs. Non-expiring lifetime memberships were also made available at game launch. Players may also upgrade their free-to-play account to premium by making any purchase of at least $5 in the shop. Yes – -15%. F2P and Premium members have to purchase every single DLC pack ($9.99 each) with real-world money while Legendary members (subscribers) are granted free access to all expansions packs. Yes – -5%. DC Universe Online features an in-game marketplace that offers a huge variety of premium items for purchase with Station Cash (PC) or Loyalty Points (PS3), the game’s premium currency only available with real-world money. Players are able to buy DLCs, additional character, inventory, bank and auction slots, legendary characters, outfits, tokens to change their character’s appearance, temporary upgrades to have unlimited access to their in-game currency, housing decoration, consumables, XP boosters and much more. No. The majority of items offered in the shop only serve aesthetical customisation, convenience or time-saving purposes and apparently don’t convey any gameplay advantages. No. DC Universe Online offers a few options to customise the UI, e.g. resizing the chat box and such, all which can be done for free. Paying members have the same options as F2P players; there’s nothing additional that could be bought with cash. Yes. There are neither races nor classes in DCUO. When creating their character, players may choose from a variety of power sets to define which combat role their hero is best suited for. Some of those powers are only available for paying users as they were released with DLCs. Nevertheless, it’s absolutely possible to customise your character to your preferred play style. Yes – -10%. DCUO’s broker system is somewhat different to other auction house systems as it only features a simple buyout system and doesn’t incorporate any open bidding. Brokers consist of automated kiosks which allow players to buy or sell items with a small fee being paid up front for the service, making them available for 12, 24 or 48 hours. The number of items players are able to post is limited, additional auction slots are only available for paying users. F2P players are completely excluded from selling and trading items. Yes – -10%. The player’s inventory is pretty limited (28 slots per character for F2P players) but can be expanded by purchasing additional slots via the marketplace. As part of the Hand of Fate DLC (only available for free to Legendary users), players can also increase the number of Trinkets and Consumable Items they are able to carry through the use of Utility Belt. The same applies to bank storage, free players are provided with 12 bank slots, whereas Premium players have 24 and Legendary players 48 bank slots at their disposal. Similar to the inventory spaces, the marketplace also offers additional banks slots for purchase. No – -15%. F2P users only have access to the core game; new areas released with purchasable DLC packs can only be accessed by paying members. No. The end-game primarily consists in PvP and raids and is available for everyone. There aren’t any restrictions imposed on non-paying users. Yes – +10%. 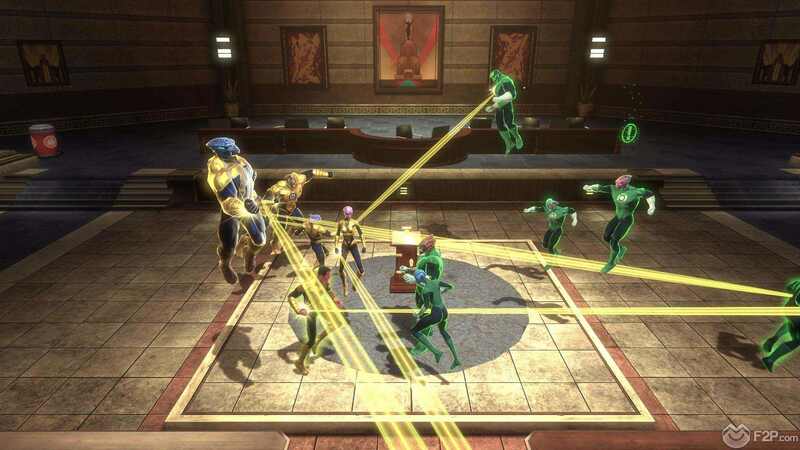 Despite the option of purchasing Legendary membership or premium items through micro-transactions, DC Universe Online appears to be pretty fair and absolutely playable without paying anything. Players who choose to pay get access to additional content as well as several in-game perks which will surely grant them an easier life in the game, but won’t convey unfair advantages over non-paying users. On the other hand, there’s still enough content to explore and enjoy without paying a single cent. Our F2Pmeter test of DC Universe Online results in a non-so-good 40% of free-to-play-ness. 3 Comments - "F2Pmeter: Is DC Universe Online Truly Free-to-play?" its actually 10% IMO, because now there are like 6 or 8 powers AND 1 weapon you can’t access as a F2P player, and the end game stuff cost more money than a F2P player can use (that because the F2P character wallet is of a really tiny size apparently), so there is no way for a F2p player to get his hands on a end game armor/weapon/trinket. Actually, there’s a few that need to be changed. End game trinkets, armor, materials, etc. are completely unattainable if you are free to play. You have a max wallet amount of $1500, then everything else you make off the game goes into an “escrow” that you can’t access and use without paying real world money to get an item to withdraw that money that you worked ever so hard for. And as far as enjoying the game as a free to play player, sure. Long as you don’t mind not being able to buy Anything to improve your character. Then getting hit once by someone 5 levels lower than you, and you not standing a chance because you don’t pay for premium so you can’t compete with the gear they have access to just because of in game funds availability. Then to add to that, you can get items and gear that you pick up that you can’t use. Why? Oh yeah. You’re not a member. So It can’t be used. Got a lock box for a mission reward? Too bad. If you wanna open it, you either have to subscribe or pay $3-5 of real world money to obtain this key to get your reward. You basically hit a dead end at level 30 if you’re free to play. Hell in some situations before max level, you could be getting stomped and can do nothing about it cuz even though your sitting on $100,000,000 in escrow, you only get 1500 of it and top armor is usually $2500+. So literally this shouldn’t be classified as a free to play. More of a pay to win. do yourself a favor and skip the 5+ hour install. I 100 percent agree. It’s fun f2p for a little like hee hee I’m a super hero/villain, isn’t this cool. Once that wears off and your 25 plus it’s crap. For all rlthe reasons already stated.